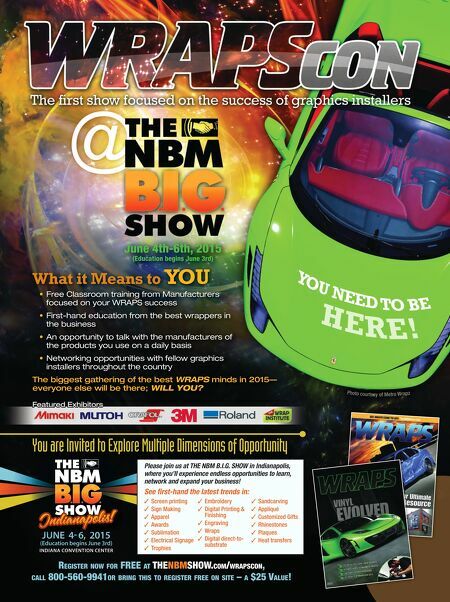 What it Means to YOU • Free Classroom training from Manufacturers focused on your WRAPS success • First-hand education from the best wrappers in the business • An opportunity to talk with the manufacturers of the products you use on a daily basis • Networking opportunities with fellow graphics installers throughout the country The biggest gathering of the best WRAPS minds in 2015— everyone else will be there; WILL YOU? 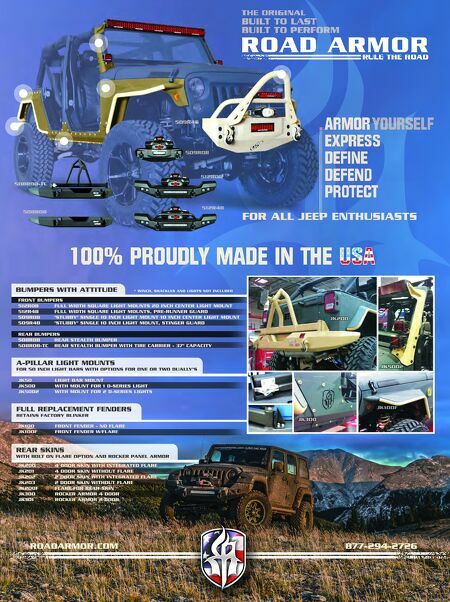 Photo courtesy of Metro W rapz June 4th-6th, 2015 (Education begins June 3rd) Featured Exhibitors JUNE 4- 6, 2015 (Education begins June 3rd) INdIaNa CONVENTION CENTER You are Invited to Explore Multiple Dimensions of Opportunity RegisteR now foR fRee at tHenBMsHow.coM/wRapscon, call 800-560-9941oR BRing tHis to RegisteR fRee on site – a $25 Value! Indianapolis! ✓ Screen printing ✓ Sign Making ✓ Apparel ✓ Awards ✓ Sublimation ✓ Electrical Signage ✓ Trophies ✓ Embroidery ✓ Digital Printing & Finishing ✓ Engraving ✓ Wraps ✓ Digital direct-to- substrate ✓ Sandcarving ✓ Appliqué ✓ Customized Gifts ✓ Rhinestones ✓ Plaques ✓ Heat transfers See first-hand the latest trends in: Please join us at The NBM B.I.G. Show in Indianapolis, where you'll experience endless opportunities to learn, network and expand your business! Y O U N EED T O BE H E R E !